Brangus and UltraBlack Cattle offer ideal genetic traits for efficiency, productivity, tolerability and performance in the grasslands of Texas. 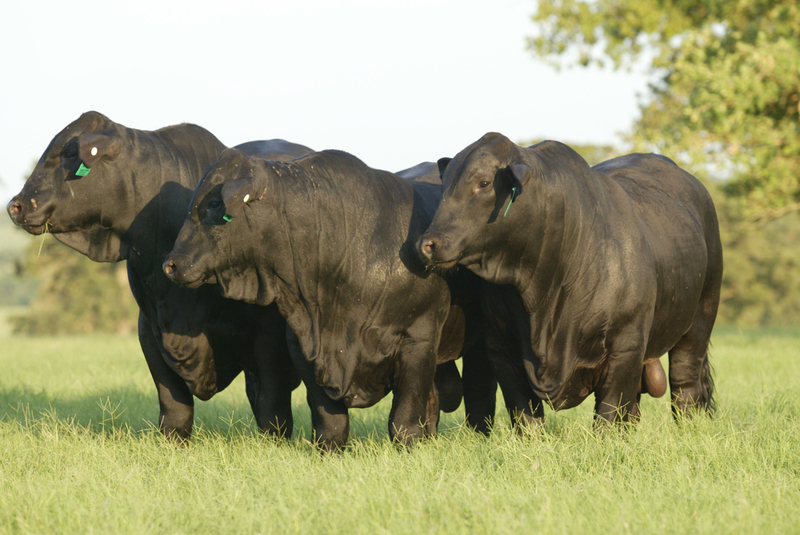 While many are familiar with the hybrid vigor of Brangus, a combination of 5/8 Angus, 3/8 Brahman, UltraBlack (13/16 Angus, 3/16 Brahman) are becoming widely recognized for their capability to thrive, particularly in regions that are now experiencing hotter temperatures and drought conditions. Beef Central highlighted the benefits of UltraBlack cattle in herds developed in Austrailia: The small Indicus infusion in UltraBlacks delivers an animal with a slick coat, elevated environmental adaptation to handle the north’s hot conditions and variable nutrition, and a little more leg under them to get across the country. They also offer the potential to significantly improve fertility in those herds where the F1 heifer progeny are retained.Based on extensive carcass scanning results, carcase and meat quality attributes are virtually identical to a straight-bred Angus animal. Through the leadership of General Manager Kent Smith, Santa Rosa Ranch is positioned to provide some of the most highly sought genetics for Brangus and UltraBlack cattle in the world.